"Allegory on the Death of the Emperor Ferdinand," 1657, by Daniel Neuberger. Materials? Wax; glittering sand; in an ebony casket under glass; 36.5 X 46.5 cm. Held by the wonder-filled Ecclesiastical Treasury in Vienna. 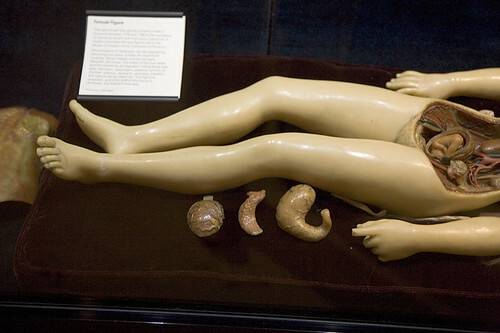 This is one of the first artifacts I saw, as an impressionable teen, that led me down the path to Morbid Anatomy. More about this fantastic artifact on the Treasury webpage, here. Human Oddities, Care of "E-L-I-S-E"
The E-L-I-S-E blog continues to unearth fantastic things; visit the blog's "Human Oddities" post (and see the full collection from which this sampling is drawn) by clicking here. 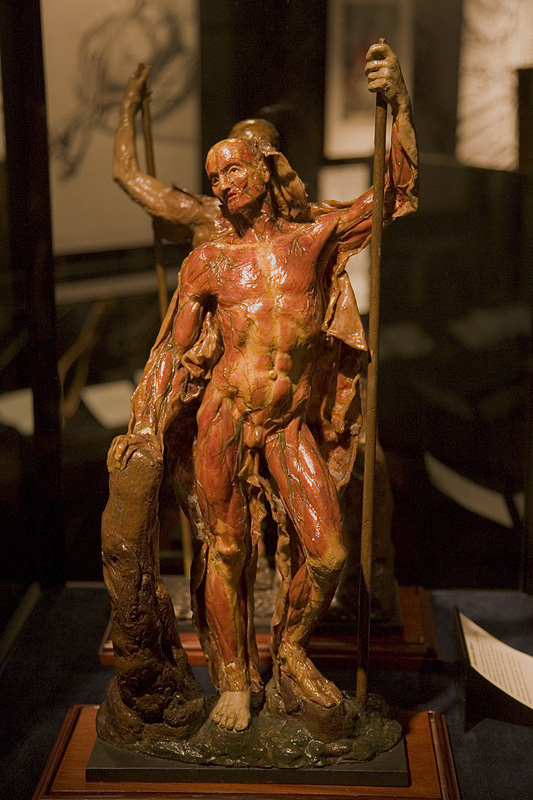 More on The Science Museum, London: "The Science and Art of Medicine Galleries"
Who knew you could visit a 18th Century miniature wax anatomical Venus (images 3-5) in London? 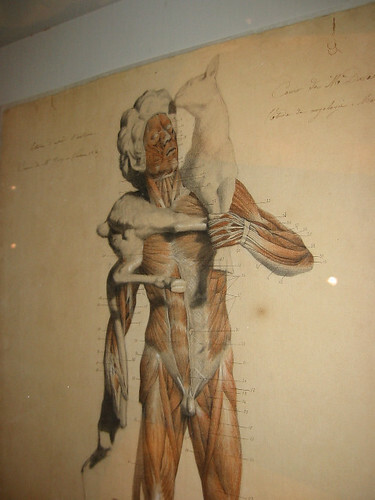 Or, how about anatomical waxes possibly rendered by 18th Century anatomist and artist Anna Morandi Manzolini (image 2)? 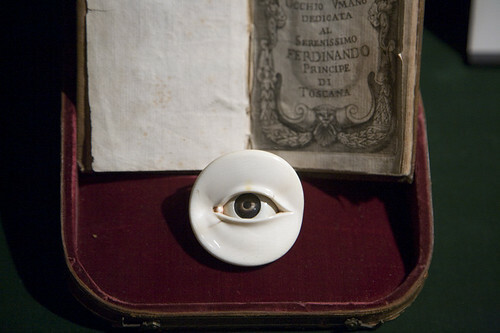 Or, perhaps an anatomical model of an eye prepared for the Duke of Tuscany in 1674, presented magnificently in its original velvet box (image 6)? "The Science and Art of Medicine" galleries of London's Science Museum has all this and more, thanks to the obsessive collecting of all things medicine and mankind by 19th Century pharmaceutical magnate Henry Wellcome (and, of course, the good sense of the Science Museum to accept objects "on permanent loan" from the Wellcome Trust in 1976). The dark , somber galleries are tucked into a quiet nook of the bustling-with-children Science Museum, and the narrative detailed within is engaging and thought-provoking, cutting a broad swath through the art, history, science, and cultures of medicine from pre-history to the present. The text is illustrated with dozens of extraordinary artifacts--such as the ones you see above--from Wellcome's collection. 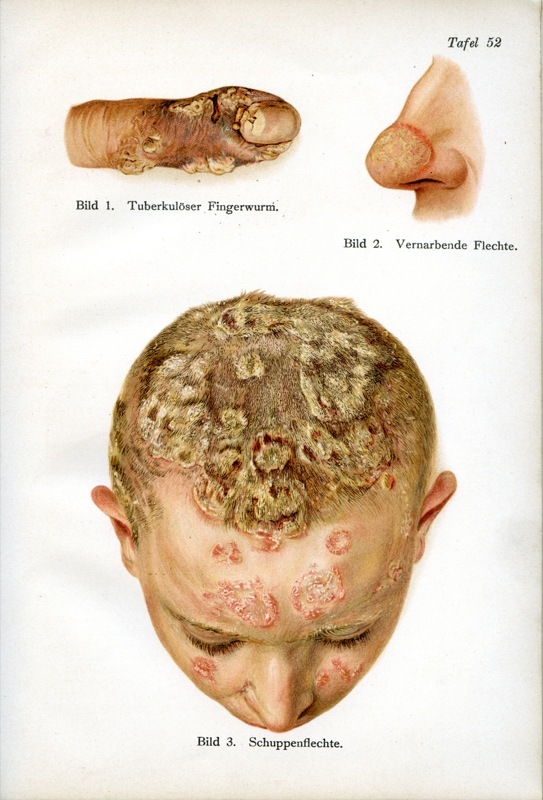 Yet more noteworthy objects from Wellcome's collection can be seen in the eponymous Wellcome Collection. You can view a full collection of images from my visit to the museum (and find out more about the objects pictured above) here. Also, as I mentioned in yesterday's post, these artifacts (and many more!) will be accessible on the Brought to Life website being launched by the Science Museum in March. Hopefully, this will bring more exposure to this world-class medical collection. You can find out more about the museum and its gallery here. Special thanks to Jim Edmonson of the Dittrick Medical History Center for urging me to visit the museum! It is definitely one of my new favorite museum exhibits. 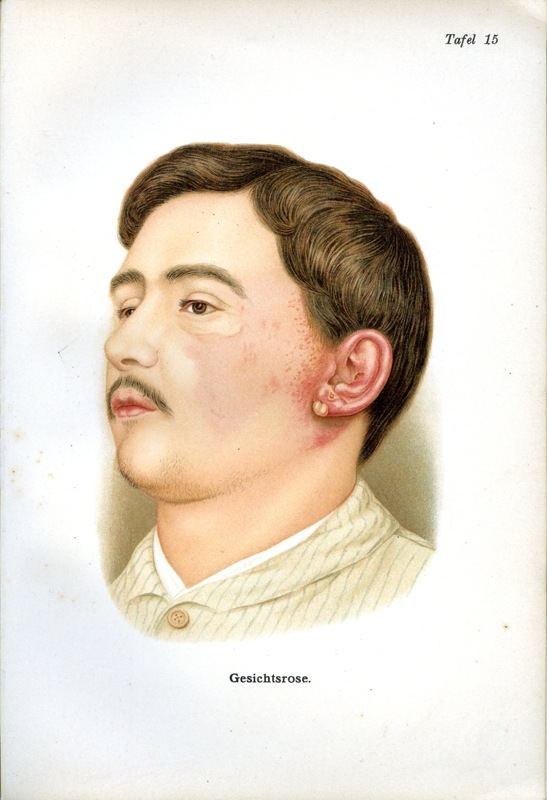 The Science Museum of London is launching an ambitious and amazing sounding website this March entitled Brought to Life: Exploring the History of Medicine. 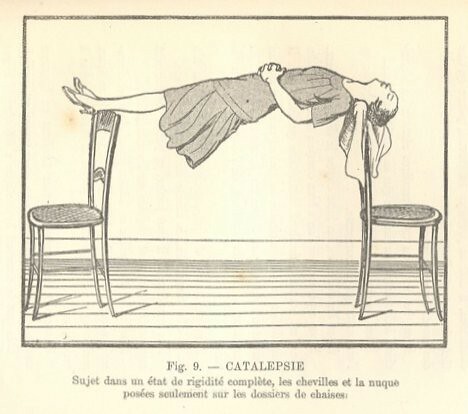 The website will present images of, and details about, 2,500 fantastic objects illustrating centuries of medical history from around the world. Many of these objects have never been on public view; others are on display in the (wonderful) health and medicine galleries of the museum. 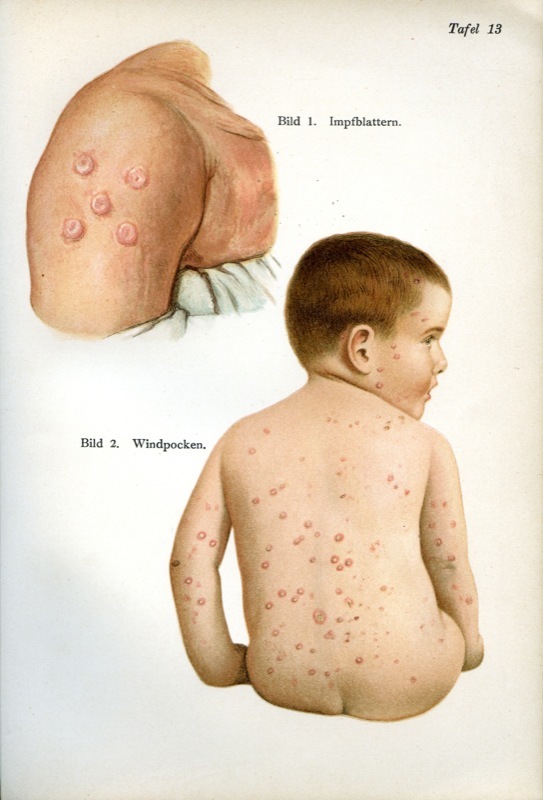 The project is supported by the Wellcome Trust, and the website will feature access to items from the Wellcome Trust collection held by the Science Museum. The intriguing images above--sent to me very kindly by Lisa O'Sullivan, Senior Medical Curator of The Science Museum--are just a very few that will be included on the new website. I will feature more in days to come! 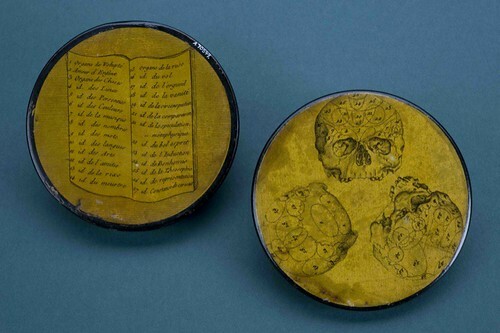 Snuffbox with three views of a phrenological skull. There is a key on the base of the box. For example number 6 equals the ability to see colour and number 24, good-naturedness. 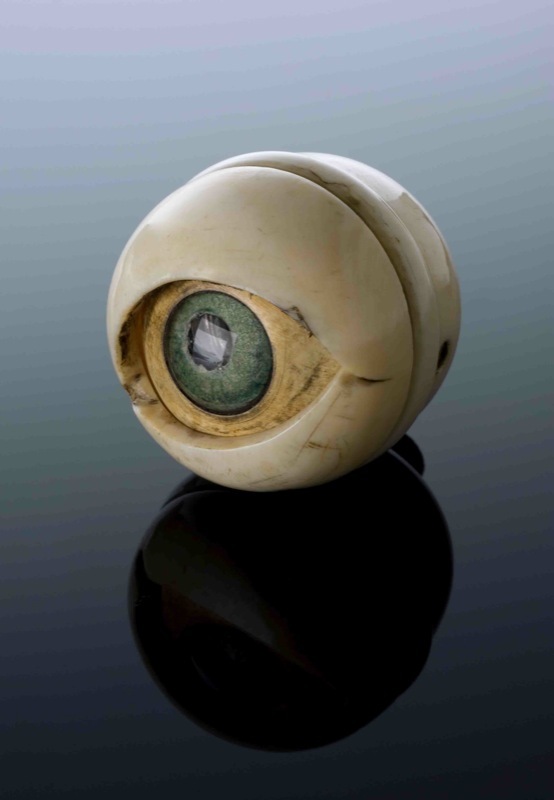 The model unscrews to show the different parts of the eye including the cornea, , the pupil, the iris, the jelly-like vitreous humour that fills most of the eyeball and the optic nerve that transmits messages to the brain. 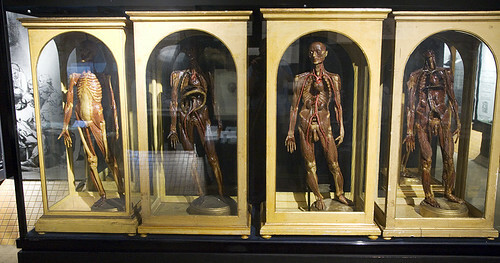 All images from the website for the "Anatomy Museum Fiorentino" in Florence, Italy. Looks well worth a visit! For more information (and to see more images), you can visit their website by clicking here. 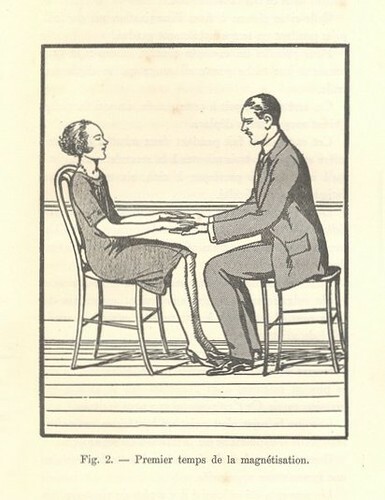 Found via the always wonderful E-L-I-S-E.
You can read and peruse the images of the entire text for yourself here. 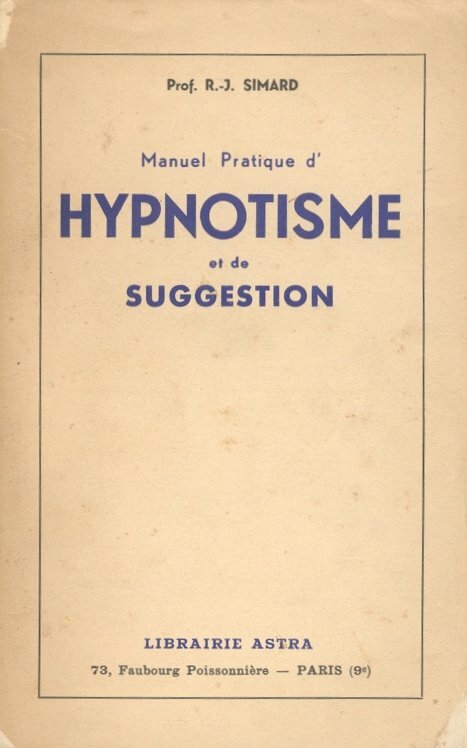 You can also read more about the book on Mind Hacks, the website that alerted me to the text's online existence. Thanks so much to Morbid Anatomy reader Morgen Jahnke for sending me photographs (such as the one you see here) that she took on a visit to the "Figures du Corps–Une Leçon d’Anatomie aux Beaux-Arts” exhibition at the École Nationale Supérieure des Beaux-Arts in Paris. As you might recall, I was lamenting the lack of photographic documentation of this exhibition on the web in a this previous post, and asking readers to send in photos. Thanks so much, Morgen, for heeding my call! To see the full set of her photographs and their documentation, click here. 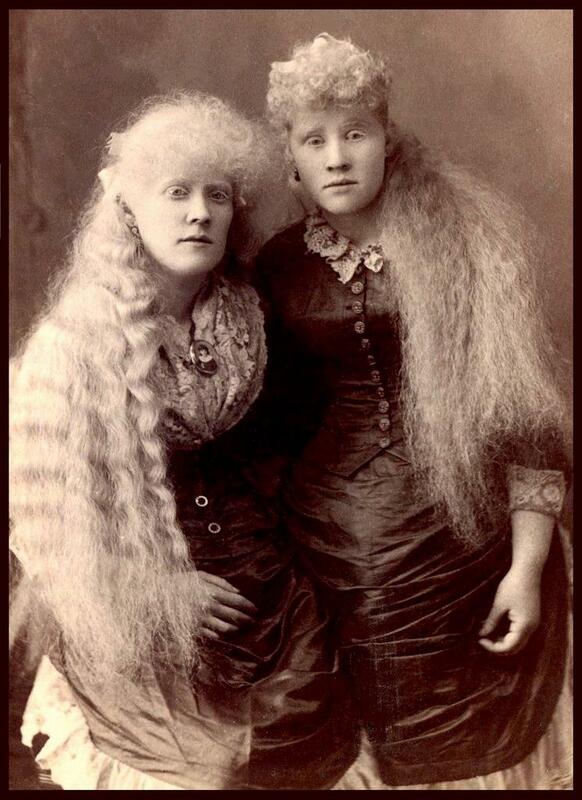 To visit her website "Interesting Thing of the Day," click here. Found on the wonderful Au carrefour étrange website. Visit the original post, and see the full collection of images, here. The above is a still from an animation by Romain Verger called Petrification. 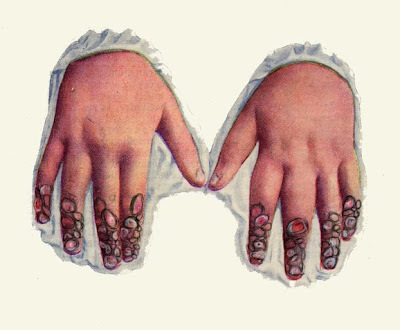 The hands, he explains, come from "La Semaine Médicale," a french medical revue, circa 1900. You can view the animation here. You can see more of his work on his website; His blog is also well worth a visit. From the website of designer Mark Weaver, found under the "Make Something Cool Every Day" header. 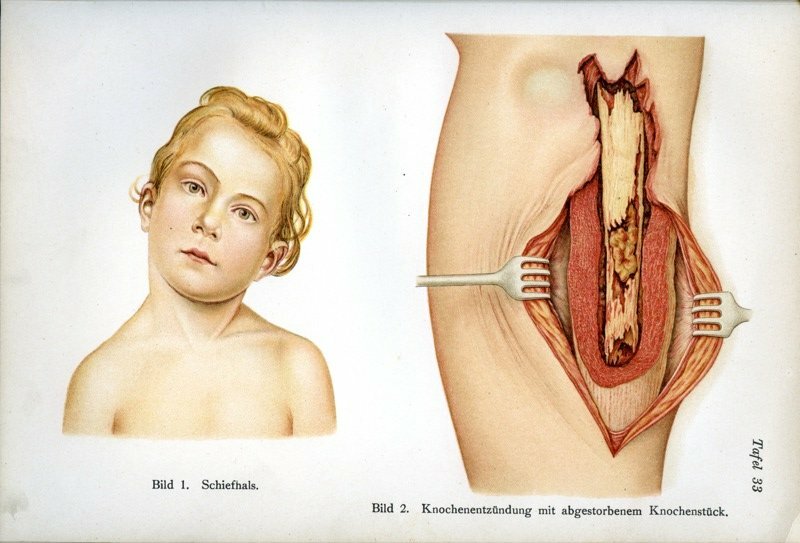 I present to you yet more images from the fantastic James Moores Ball collection, previously featured in a few (1, 2, 3) recent Morbid Anatomy posts. 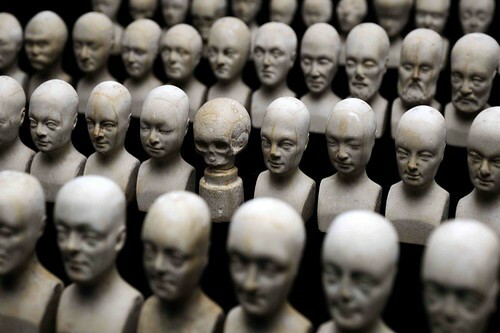 The Ball Collection resides in the collection of the National Museum of Health and Medicine and were found on the museums' unofficial blog, "A Repository of Bottled Monsters." More information on the pieces and the collection to be found there. 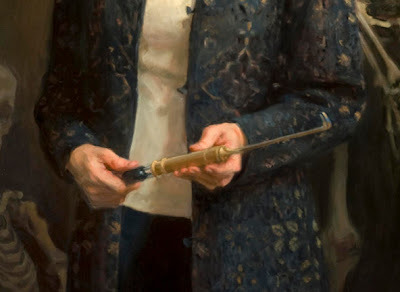 In fact, we have TWO winners to the question "What is the instrument Gretchen holds in her hands in the portrait?" Lana Thompson, author of The Wandering Womb was first to respond: "It’s a transurethral lithotripter." And Christine Ruggere at Johns Hopkins Medical Library says, "I think that the instrument was used to crush bladder stones. 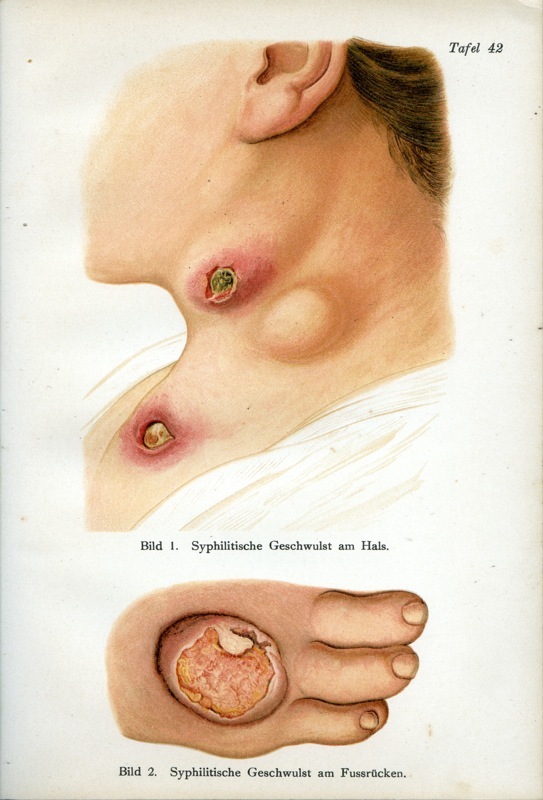 It may be called a lithotrite. I think Gretchen demonstrated one once on the David Letterman show." Indeed, the instrument is a lithotrite, used to crush calculi, specifically bladder stones; the transurethral lithotripter is also used for kidney stones. Christine wins too for the added identification that Gretchen had demonstrated the litotrite in one of her three appearances on "The Late Show with David Letterman." Congratulations to Lana and Christine--and thanks to all who ventured a guess! 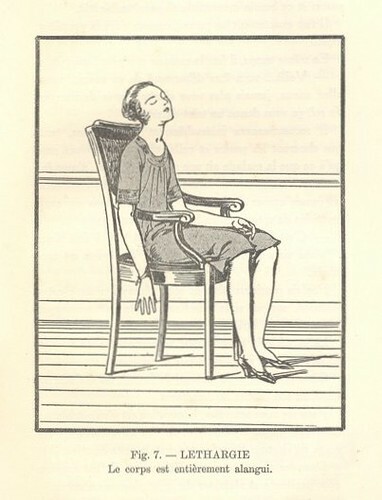 Our runners up are Scott Moore of Phoom.com, who guessed: "I am able to only guess that it's early 19thC and has something to do with lithotomy." And Mark Rowley of the superb site Cabinet of Art and Medicine ventured a few guesses, among them "a stone crusher." 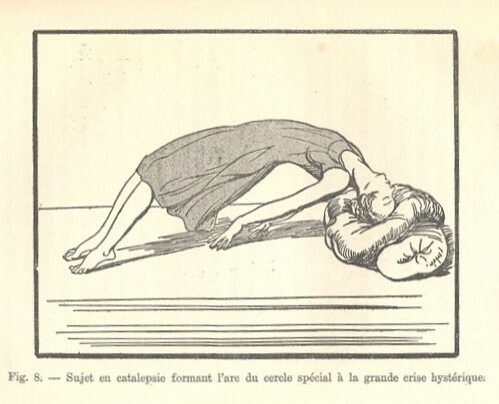 By the way, I happened to find a Flickr site from Tyler Love with some illustrations from the Illustrated Manual of Operative Surgery and Surgical Anatomy, 1861, at the University at Buffalo showing such an instrument in use; see above for one example. 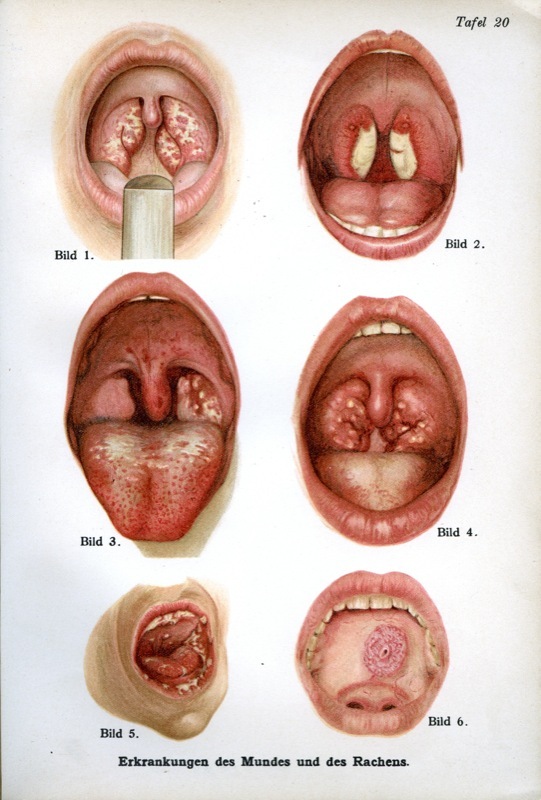 As an addendum, might I add that you might want to go check out the other wonderful images in Tyler Love's History of Medicine Collection @ UB Flickr collection; to do so, click here. This following is a guest report by Laura Lindgren of Blast Books. 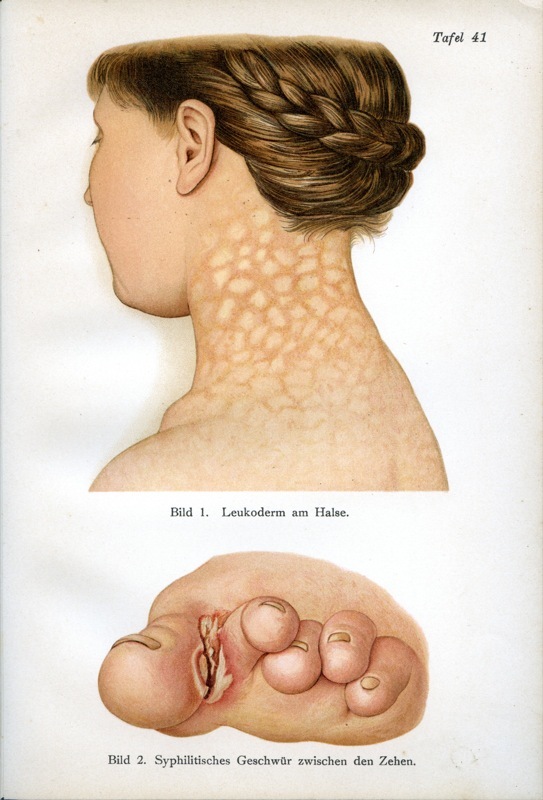 She is the publisher, editor, art director, and designer of the Mütter Museum books and calendars and graced us with a presentation at the Morbid Anatomy Library the second of January. 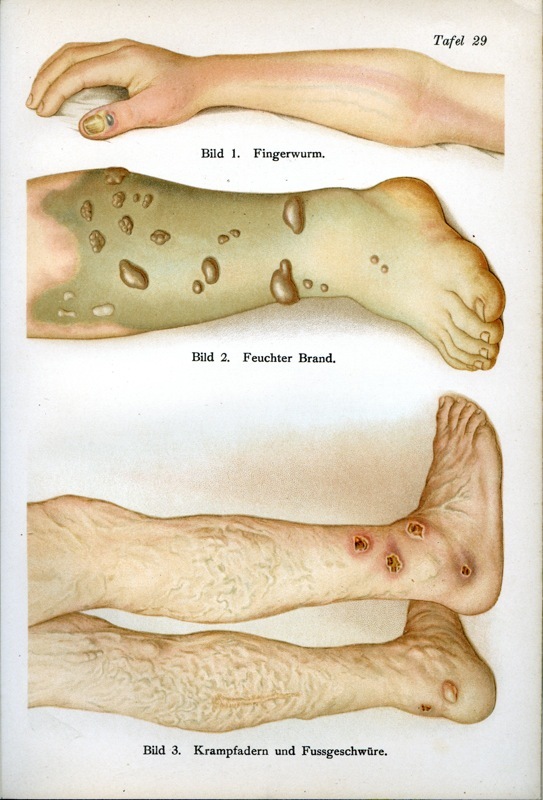 A hundred and fifty years ago the College of Physicians of Philadelphia completed the agreement with Dr. Thomas Dent Mütter to acquire his personal teaching "museum," which joined the College's existing cabinet of pathological specimens from Dr. Isaac Parrish to become The Mütter Museum, which opened in 1863. That's right--the sesquicentennial of the founding of the Mütter Museum! A lively celebration was held at the College last Friday night, January 9. One highlight of the evening was the unveiling of the classic oil portrait commissioned by the College of the Mütter Museum's beloved late director, Gretchen Worden [see top image]. 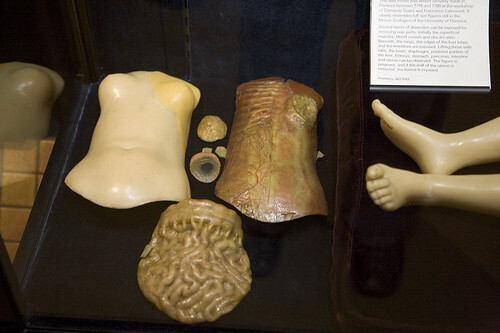 As many Morbid Anatomy readers know, Gretchen devoted her entire professional career of twenty-nine years to the Mütter Museum and the College until her untimely death at age fifty-six in 2004. Following a cocktail reception in the College's elegant Marble Rotunda, Dr. George Wohlreich, Director and CEO of the College, spoke warmly about Gretchen and the impact of her many achievements with the Museum. Artist Alexandra Tyng [center image, with portrait] spoke about coming to know Gretchen by way of abundant reference materials and fond recollections from friends. Missing from the unveiling, naturally, was Gretchen--or was she? As the burgundy drape descended from the portrait and the audience gasped in astonishment, a wine glass toppled over from a table in the center of the rotunda and smashed on the floor. "Mazeltov!" shouted Paul Stridick, a friend of Gretchen since 1975. And J Bazzel confirmed: yes, it was a glass of "the cheap house red"--always her preference. A Victorian dinner for those who had purchased tickets followed the portrait unveiling, in Thomson Hall, concluding with Dr. Robert Hicks, the new Director of the Mütter Museum, speaking about upcoming exhibitions he has planned beginning in 2011 for the sesquicentennial of the American Civil War, and he presented a few Civil War items from the Museum for viewing, including a kit of gleaming surgical instruments. Meanwhile opulent Mitchell Hall upstairs--famous for its walls lined with majestic portraits of leading august physicians and its grand podium--had been transformed into a far-out freak-out disco replete with lighted dance floors [see bottom image], and people partied like there was no tomorrow! Fortunately tomorrow came after all--here's to all the tomorrows in the Mütter Museum's next 150 years! The College will hold another celebration when the portrait is officially installed in the Worden Gallery in the Museum. 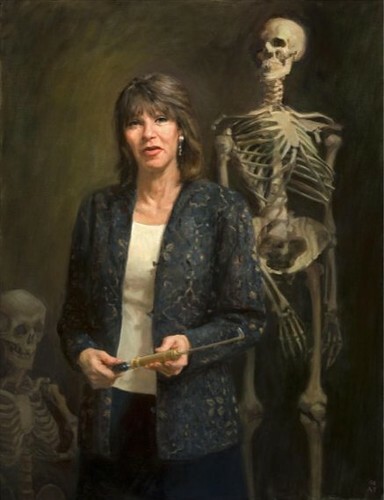 Meantime, I will send a Mütter Museum 2009 calendar to the first Morbid Anatomy reader who correctly identifies the instrument Gretchen holds in her hands in the portrait. Let's hear from you! 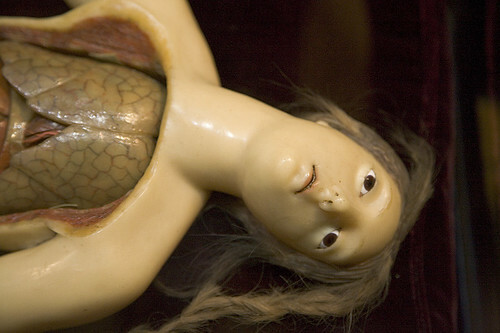 Email responses to morbidanatomy@gmail.com. To see more photos from the event, visit the Morbid Anatomy 150th Anniversary Flickr set. 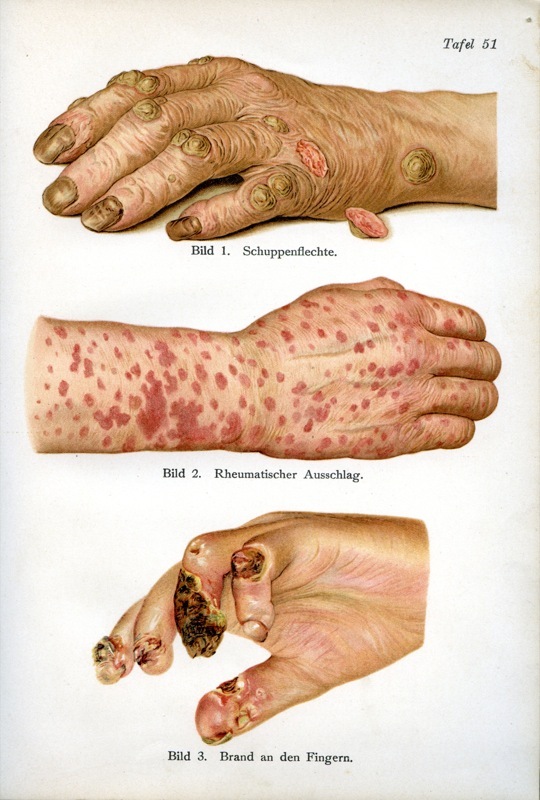 For more about the Mütter museum, see these recent Morbid Anatomy posts (1, 2, 3, 4, 5) or visit the museum website. 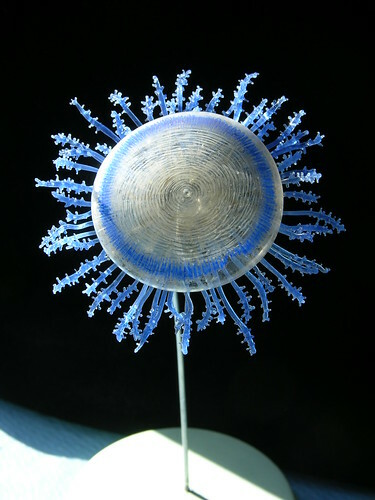 58 spectacular glass models of jellyfish, anemones, octopus -- animals crafted by the same renowned artists who created Harvard’s ‘Glass Flowers’. 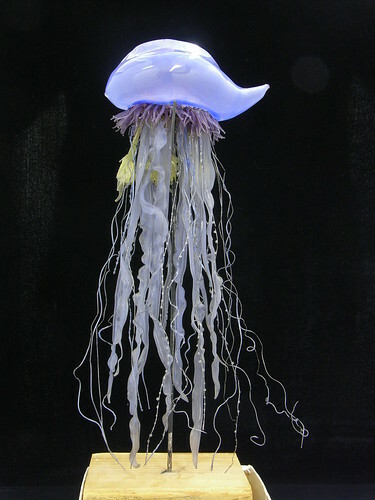 Many years before they were commissioned by Harvard University to make the “Glass Flowers,” father and son artists Leopold and Rudolph Blaschka, meticulously shaped glass and wire into lifelike models of marine animals. Renowned for their beauty and exacting detail, the Blaschka marine invertebrate models were commissioned by universities and museums throughout world during the 19th century. This new exhibition features 58 of these spectacular glass animals – many never before on public display – taken from Harvard’s collection of 429 models. 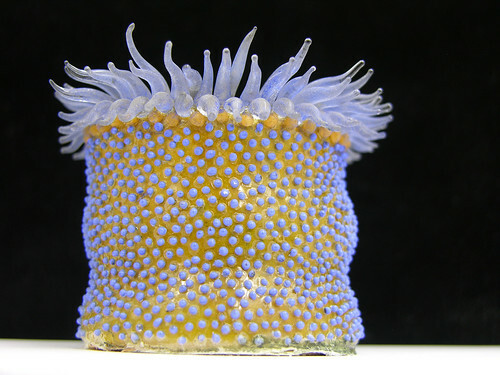 Delicate jellyfish and anemones, tentacled squid, bizarre sea slugs (nudibranchs), and other soft-bodied sea creatures captured in glass are a sparkling testament to the Blaschka legacy. The exhibition will be on view at the museum through March 1st, 2009. I have had the good fortune to see these models at other museums (such as the wonderful Grant Museum of Zoology in London) and can say that they are well worth a special trip; really beautiful, spectacular, fragile stuff, beautifully solving the problem of how to demonstrate the anatomy of such amorphous, delicate creatures which tend to languish, formless, when preserved in spirits. For more information about the exhibition, directions, etc., visit the museum website here. Thanks, Blue, for sending this along! 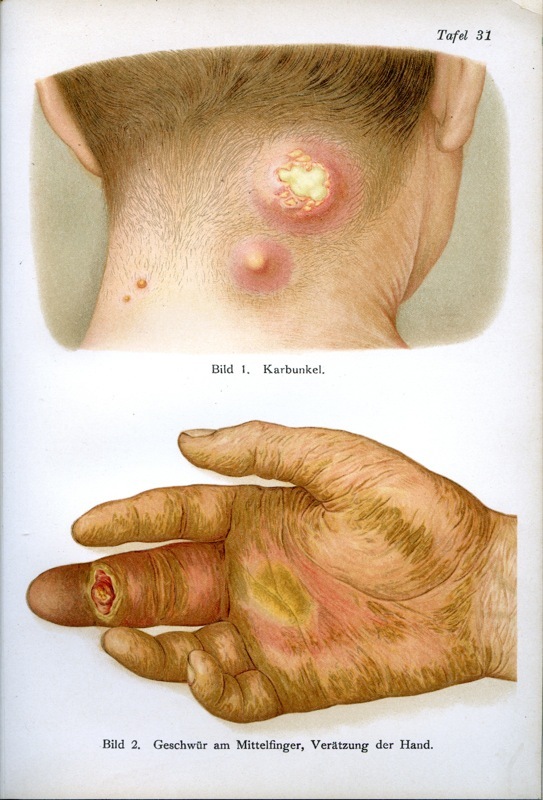 Trolling the Wikipedia Commons, I came across a large set of scans from a book called Der ärztliche Ratgeber in Bild und Wort: Atlas und Hausbuch für Gesunde und Kranke, published around 1910 by Dr. Fr. Siebert. Above are my favorite of the 30 images included. To see the entire image set (well worth it, I promise!) and find out more about each image, click here. For more information about the book, click here.